Gain control over your dependencies with badges, upstream compatibility checks and continuous, automated updates. Enable the Depfu Github App on your public repo. It's done in less than a minute. We support all Ruby projects using Bundler. With or without a Gemfile.lock. We support all JS projects using npm or Yarn. Lock files are handled automatically. What's the state of your dependencies? Simple, beautiful overview of your project's dependencies. See if and how much they're outdated. 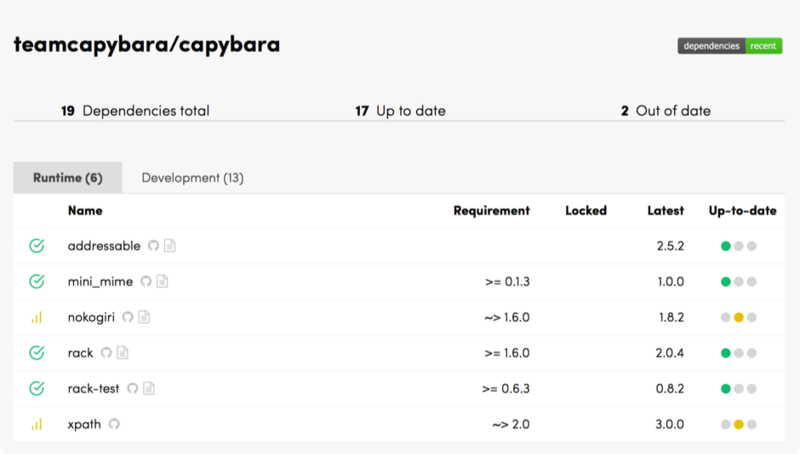 Display the state of your project with our rethought dependencies badge. Does your library work with the most recent versions? 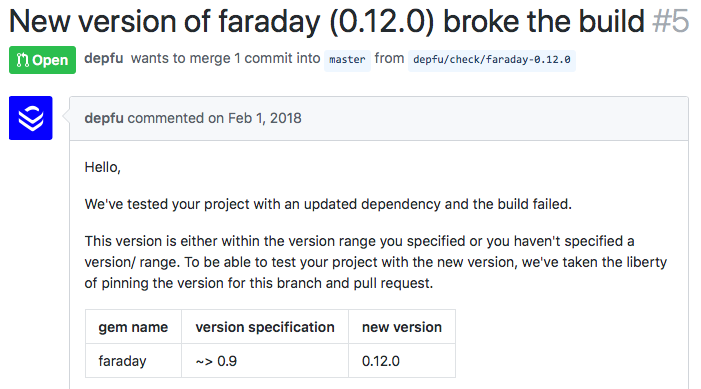 Treat your dependencies like your own code by running a CI build when your dependencies get updated within your version constraints. This way you can be sure your library works if it's installed by a user right now. 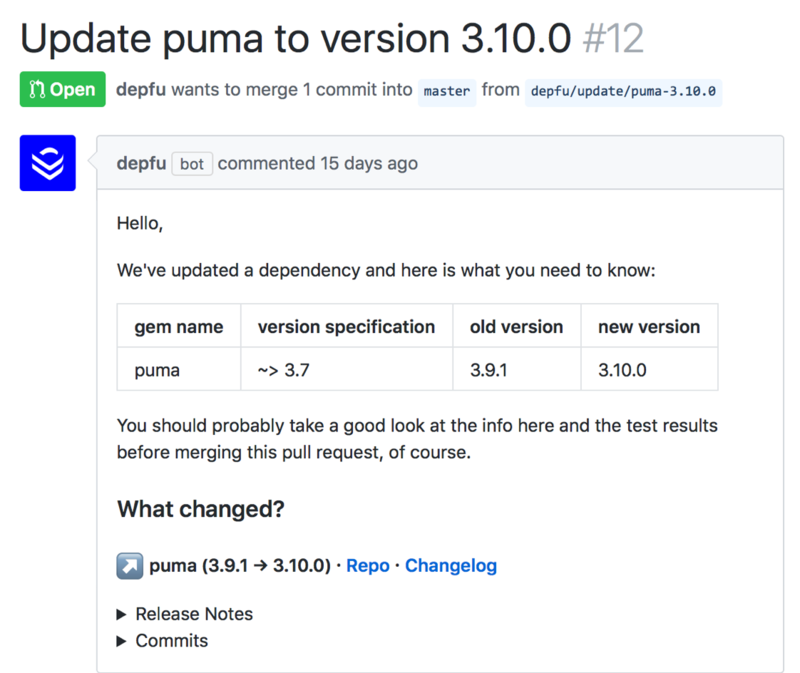 Get notifed about the new version right in your code, with a Github Pull Request. We gather everything we can find about the new version, from Github release notes, the project's changelog to all commits for that version. You know right away if your code works with the new version or not, since the PR triggers a test run. Take a look at the example repo to see our pull requests in action. Free for all public repos. Forever. No credit card required, of course.